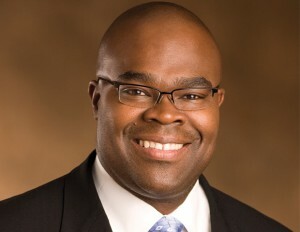 McDonald’s former top executive Don Thompson has begun a second act in his career, this time as venture capitalist. Crain’s Chicago Business reports that Thompson has launched Cleveland Avenue, an investment group and accelerator, which focuses on building new food, beverage, and restaurant concepts. By profession, Thompson, 53, is an electrical engineer. He joined McDonald’s in 1990 after working for a military aircraft manufacturer that is now part of Northrop Grumman, and quickly climbed the corporate ladder at the golden arches. Thompson had an illustrious, 25-year career at McDonald’s, which included serving for nearly three years as CEO of the restaurant chain. Approximately a month after announcing his retirement, McDonald’s agreed to continue to work with Thompson as a consultant, paying him $3 million. Cleveland Avenue quietly opened an office last fall in a three-story building. The firm is reportedly named after the Chicago street where Thompson grew up. According to Crain’s Chicago Business, the company announced the opening of its first restaurant concept, a non-alcoholic beverage bar called Drink. Developed in partnership with the clothing retailer, Drink serves a rotating list of 20 non-alcoholic beverages made by startups and entrepreneurs, ranging from organic slushies to fresh fruit sodas on tap. The bar is located inside the American Eagle Outfitters flagship store in Chicago’s Times Square. Crain’s Chicago Business reports that Cleveland Avenues has also invested in a Washington, D.C., fast-casual restaurant called HalfSmoke, along with other undisclosed investments in the food and beverage industry. Last year, Thompson joined the board of directors of vegan, meat-alternative company Beyond Meat. He is also on the board of directors for the Chicago-based financial services provider Northern Trust, making him the third black board member at the company. Likewise, The Cleveland Avenue Foundation for Education, a nonprofit charity led by Thompson’s wife Liz, sponsors efforts and make grants to organizations offering career support, education, and mentoring to urban students and young professionals of color. This is significant because nowhere is the diversity issue more evident than in the venture capital sphere, which is dominated by white men who fund very few startups founded by women and minorities: African American men receive 2% of the VC funding other startups get, while black women get a fraction of that. When Charles D. King, BA’91, first arrived in Los Angeles in 1997, his friends were shocked to hear that he had taken a job in a mailroom. After all, King held degrees from Vanderbilt and Howard University Law School. His résumé was bursting with experience at marquee companies, including AOL and MTV, and he’d built an enviable list of contacts going back to his days growing up in Atlanta. Plus, he’d turned down several other offers just to take this job. “I remember him moving out there, and I was like, ‘Mailroom? You’ve got a law degree! What are you doing working in a mailroom?’” recalls Michael Lee, BE’92, one of King’s closest friends from Vanderbilt. Even King admits he was initially skeptical at the prospect. But the strange path to becoming a high-powered talent agent at the famed William Morris Agency (now called William Morris Endeavor) typically starts in the mailroom. The plan worked. By 2010, King had become the first African American partner (and before that, the first African American to be promoted from the mailroom to a film/television agent) in the firm’s 119-year history. He went on to work with some of the biggest names in the entertainment industry, including Oprah Winfrey, Tyler Perry, Janelle Monáe and Lin-Manuel Miranda. Exactly as he’d hoped, King’s agency experience helped him achieve his larger goal: to lead a media company focused on developing content for multicultural audiences. In 2015, King left William Morris and started MACRO, which received financial backing from a number of industry leaders, as well as from Emerson Collective, the socially focused investment group run by Laurene Powell Jobs, widow of Apple co-founder Steve Jobs. The company’s first major project was the movie Fences, directed by Denzel Washington and nominated for four Oscars last year. Viola Davis won Best Supporting Actress for her role in the film. “For that to actually be our first studio film was an amazing result,” says King, who served as one of the movie’s executive producers. MACRO’s web comedy Gente-fied features an all-Latino cast and counts actress America Ferrera among its executive producers. MACRO financed seven episodes of the bilingual series, which follows seven characters as they deal with the effects of change in the Los Angeles neighborhood of Boyle Heights. (Marvin Lemus created and directed the series and co-wrote it with Linda Yvette Chavez.) The company also has two more feature films coming out in November: Mudbound, the story of two men who struggle with racism after returning home to rural Mississippi following World War II, and Roman Israel, Esq., a crime drama starring Washington and Colin Farrell. It didn’t hurt that he also tapped past connections to sign new talent, including rapper Missy Elliott. “I brought in four or five clients way before I became an agent,” says King, who had to prove himself all over again when, in 1999, there was a leadership change at William Morris. “They were firing people they didn’t think were a culture fit,” he explains. Fortunately for King, Dave Wirtschafter, who moved from International Creative Management with Jim Wiatt to run William Morris, understood his vision. “I had an eye to sign musicians and multi-hyphenates [actor–director, for example] and was going to build a multisector business,” says King. “I explained how pop culture is driven by the multicultural marketplace, and Wirtschafter got exactly what I was talking about.” Around the same time, clients like Spike Lee and Kenneth “Babyface” Edmonds were asking why the agency didn’t have more diversity. After those conversations King became the first person under the new management to receive an internal promotion, helping pave his path to further success at the firm. The other key aspect King wanted the company to focus on was bringing more multicultural talent, particularly African American and Latino, into the entertainment mainstream. “One of my goals while I am still in the industry is to dispel this notion that movies that have people of color in them won’t work,” King said in a recent interview with The Hollywood Reporter, citing the example of the film 12 Years a Slave bringing in more money overseas than in the U.S.
As a freshman at Vanderbilt in 1987, King was one of 64 African American students in his class, less than half of 1 percent of that fall’s first-year class. (This year the number of incoming first-year students who are African American is around 200, representing more than 12 percent of the class.) He formed a tight circle of friends, some of whom he first met at Black Student Weekend, an event hosted each year for accepted students to visit campus. He also grew close to Ray Winbush, the first director of Vanderbilt’s Bishop Joseph Johnson Black Cultural Center, and got to know students at historically black Fisk and Tennessee State universities. Today, King casts the racial challenges he faced at school, as well as a first job after graduation at a paper company in Connecticut, as good preparation for his current role. “By the time I got to Hollywood, it was literally a piece of cake compared to those two,” he says, laughing. He is also known for developing lasting relationships wherever he goes. When King worked for AOL during law school, he met Charlie Fink, who developed and produced Beauty and the Beast, The Lion King, and Aladdin during his time at Disney. Fink encouraged King to move to Los Angeles and gave him the names and numbers of several people to contact when he got there. The two never crossed paths again until four years ago when King reached out to Fink through LinkedIn. Elizabeth Cook Jenkins, BS’99, is a freelance writer living in Los Angeles. At Vanderbilt she majored in both human and organizational development and English. For many students, dreams of working in Hollywood have become a reality thanks to the partnership of alumni and the Vanderbilt Career Center. supports each other’s career development through networking events year-round and partners with other alumni networks to coordinate classes, seminars, mixers and panels. In an industry where relationships are key, Vandy-in-Hollywood provides crucial opportunities for students to network. Vanderbilt’s Career Center educates and coaches undergraduate students, connecting them to numerous internships in the entertainment industry. Most, if not all, of those opportunities come through alumni working at companies like the APA Agency, Imagine Television, Smoke House Pictures, DMG Entertainment, Downtown Film Festival L.A., K.Jam Media and Paramount. Once on board, those same alumni nurture the students through the program. Like all internships, the hands-on experience provides an invaluable advantage to students who later pursue careers in entertainment. However, the greatest benefit is the numerous industry contacts made throughout the summer. The weekly Summer Speakers Series, held at the office of television and film producer Rich Hull, BA’92, co-founder of Vandy-in-Hollywood, features alumni from across the entertainment spectrum who share career insights in an informal setting. Vandy-in-Hollywood was a transformational experience for Stacy Greenberg, BA’10. Her first internship with Gervich led to another with television executive Hayley Dickson, BS’05, and that opportunity led to her first paid job at Imagine Television. In seven years she advanced from an office production assistant to vice president of television. She is now president of Danny Strong Productions. Greenberg remains active with Vandy-in-Hollywood by attending the annual Summer Bash, speaking at the Summer Speaker Series, and often providing more than one internship for Vanderbilt students each summer. Nationwide — Elementary entrepreneur Gabrielle Goodwin is now selling her hair accessory invention GaBBY Bows in 50 Once Upon a Child stores in 16 states across the US. With the help of her mom Rozalynn, the 10 year-old CEO solved the age-old problem of disappearing girls’ hair barrettes by inventing The Double-Face Double-Snap Barrette by GaBBY. Gabrielle was just five years old when she started daily insisting she and her Mom create a barrette that would stay in her hair. They started the company when Gabrielle was seven years old. In just three years of operations, GaBBY Bows have saved families time, money and frustration in all 50 states and eight countries through online sales at www.gabbybows.com. A straight-A student, Gabrielle is the self-proclaimed President and CEO, handling inventory, serving as the lead saleswoman at trade shows, speaking to community groups and schools, personally writing thank you cards to customers who order online, and helping with sales taxes. She also hosts GaBBY Play Dates to teach girls in children’s shelters about entrepreneurship. In 2015, Gabrielle was named the youngest ever South Carolina Young Entrepreneur of the Year. The following year, she and her mom were named a 2016 SCORE and Sam’s Club American Small Business Champion, and awarded as the 2016 SCORE Foundation Outstanding Diverse Business of the Year. A children’s book about Gabrielle and GaBBY Bows, “Gabby Invents the Perfect Hair Bow” will be published by Entrepreneur Kid this summer. “It feels really good to walk in a store and see your own product on the shelves! I am grateful to have a LOT of supporters and be expanding.” says Gabrielle Goodwin. You can support Gabrielle by locating the Once Upon a Child store near you at www.gabbybows.com. It was later in Barcelona where the idea really matured. After dropping out from business school, Cortney took an opportunity to run a sports startup. At the startup, he had the opportunity to work with brands like Nike and ASICS and gained valuable experience in obtaining partnerships. He later relied on this same experience to land partners for TrainersVault. For the initial phase of TrainersVault, Cortney was able to raise money from friends and family. In addition, an angel investor from China was looking for investment opportunities and gave Cortney and his partners the funds they needed to fully focus on the building out the business. Their relationship with the angel investor led to them joining China Accelerator and gave them connections into the Asian market. Still in beta, TrainersVault has about a quarter of a million clients using the platform. These clients were brought to the platform by the 100 trainers in the beta program. Currently, there are about 4,000 trainers are on the waiting list. You can connect with personal trainers at Trainersvault. Get in touch with Cortney [at] Trainersvault.com or visit him on Instagram @TvCort. Rapper Nicki Minaj has surprised us by putting up a sweet Instagram post. The ‘Anaconda’ singer has been contributing funds to an Indian village since last few years. It’s due to her that a village in India (she did not reveal the name of the village) has a computer center, a tailoring institute, a reading program and two water wells! Minaj known for her giving nature had cleared student loans via Twitter, where she tweeted students to tweet back to her. "We complain about the most ridiculous little things when some (people) don't even have clean water. Blessings to India. Our work is far from done," Minaj captioned the Instagram video. Minaj said she would be dropping more details about her charity work in the "near future", in case fans want to get involved. "I'm so proud of our sisters in India. God is so good. Their desire was to have water wells and places where they can worship, places where they can learn technology, computers, reading, etc. We're just getting started. These women are us and we are them," she captioned another photo. Now that’s quite generous Nicki, we’re proud of you. If you still haven’t heard of billionaire Robert F. Smith, it’s time to start paying attention. The Chairman and CEO of Vista Equity Partners has lived his life mostly under the radar, granting limited interviews about how he’s built a private equity empire and net worth of $2.5 billion. He is No. 274 on the Forbes 400 List of Richest Americans and is richer than basketball legend Michael Jordan and BET founder Bob Johnson. Although the 54-year-old Smith has kept his life and work mostly behind the scenes, his business moves to support the black community are hard to ignore. Smith’s $20 million gift to the National Museum of African-American History and Culture (NMAAHC) came only second to Oprah Winfrey. He’s also backed up his commitment to increasing the number of black students in STEM (Science Technology Engineering and Math) with support for youth coding programs and a $50 million gift to his alma mater, Cornell University, to bolster African-American and female students in the College of Engineering. And he isn’t just writing checks. Recently, hundreds of young black professionals and graduate students filled the International House at the Columbia Black Business Student Association’s 35th annual conference to hear him speak. Smith, a Columbia Business School alum, dropped knowledge on everything from economic empowerment to how to build the next generation of leaders in the black community. 1. Be an expert at your craft. So he continued to call them weekly for five months. Despite being repeatedly turned away and eventually ignored altogether, one day, he finally got an offer after an older student didn’t show up. Smith would go on to earn a chemical engineering degree from Cornell University. Lesson? Smith knew his stuff. And when it was time to ask for a seat at the table, he could deliver based on his merits and persistence. After graduating from Columbia Business School with honors in 1994, Smith landed a coveted job at Goldman Sachs, focusing on technology mergers and acquisitions. He successfully led those efforts for six years but eventually wanted to venture out on his own. Smith recalls feeling like no private equity firms would look at him as a desirable candidate. In 2000, Smith took a leap of faith to start his own private equity firm focused on software and technology-enabled businesses. 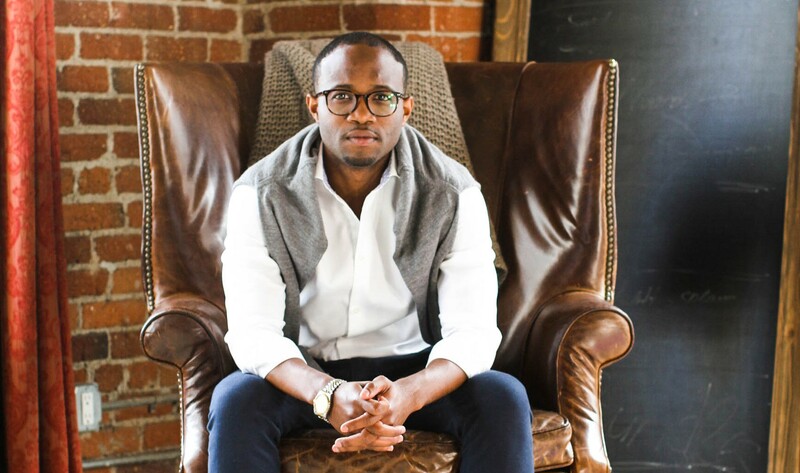 The fact that Smith, a double Ivy-League graduate with a masters degree in business, felt he could run into roadblocks shows that even when you are qualified, realizing your unique vision might mean creating your own path. As of last year, Smith’s company managed more than $26 billion dollars in assets and is considered to be one of the top private equity firms in the country. 3. Be an example to others. Smith remembers in his younger days reading a spread in Black Enterprise magazine about black business leaders. The staggering amount of money they earned blew him away. More than their net worth, Smith says seeing their faces inspired curiosity about their work and made him feel he could pursue the same path. Even once he earned his first million at 35-years-old, Smith says he kept a low profile “by design,” choosing to develop his skills and company rather than seek limelight. After being featured on the cover of Forbes magazine in 2015, that privacy really went out the window. But for Smith, the trade-off is well worth it. Just as the stories of black business leaders inspired him then, he wants to do the same for others. Smith recalled enjoying social life during his college years with his brothers from Alpha Phi Alpha Fraternity, Incorporated, on Friday nights, then getting up as early at 6 a.m. the next day to tutor youth in the Ithaca area. Smith’s parents were both schoolteachers who supported civil rights issues. He suggested to the crowd at Columbia Business School that not everyone has to be rich or have a high-powered business job to make a lasting difference. “Maybe [the highest and best use is] for you to read to a child daily,” he said. Asking yourself which of your talents and gifts inspire you to get up in the morning is time well-spent. 5. Invest in the future. New developments in technology have been compared to the “fourth industrial revolution.” But Smith insists there is a lot at stake if black people miss out on the current boom in STEM. “These are the on-ramps in our community. The greatest wealth building opportunity in the history of the planet,” Smith remarked. Smith says in the same way that football scouts start early in finding young athletic talent in elementary school, black communities should invest resources in uplifting our own young tech stars. “It’s intellectual property resources that you have unique dominion over,” says Smith. Lexington, SC — Locally owned educational game company, Magnobrain, has announced the successful distribution of over 750 sets of their educational games to youth organizations in Miami Dade and Broward County in Florida. The games where distributed through their “Inspire Me to Learn” initiative founded by a grant of $30,000 from the Aetna Foundation. The concept of the games came from a need to help children succeed academically while enhancing academic vocabulary. Magnobrain games creates a fun and joy filled experience for children, parents and educators, leading to improved academic and social outcomes. Today, Magnobrain board and card games are used by over 1,000 parents and teachers to create fun activities that are engaging and inspiring. The games were designed using the latest cognitive, psychological, and neurological research in neuroplasticity and memory. All their games are a great resource to reinforce what is being taught in the classroom and are specially designed with this in mind, allowing for easy integration into existing curriculum. The mission of Magnobrain is to inspire learning through play with their revolutionary line of board and card games. These products can be used in educational programs or at home where families can learn and play together. The benefits include developing vocabulary skills, encouraging families to play together and empower kids with words, creating joyful learners. Magnobrain® LLC is an educational game company that have developed a suite of innovative resource games designed to make educational activity fun and engaging for children (PreK-12). For more information, please visit www.magnobrain.com. Thirty-seven years ago, New York-based APF Electronics, Inc. released The Imagination Machine, a hybrid video game console and personal computer designed to make a consumer's first experience with computing as painless and inexpensive as possible. APF's playful computer (and its game console, the MP1000) never rivaled the impact of products from Apple or Atari, but they remain historically important because of the man who cocreated them: Ed Smith, one of the first African-American electronics engineers in the video game industry. During a time when black Americans struggled for social justice, Manhattan-based APF hired Smith to design the core element of its future electronics business. What it took to get there, for both APF and Smith, is a story worth recounting—and one that, until now, has never been told in full. Edward Lee Smith was born in Brooklyn, New York, in 1954. He grew up in Brownsville, an impoverished neighborhood within the borough. His parents moved there from Mississippi a few years prior, and they weren't alone. Between about 1910 and 1970, millions of black families like the Smiths fled north in a Great Migration, as historians now call it, to escape the terrors of the American South during the Jim Crow era. What his parents found when they got to New York wasn't much more promising than the South: Government policies and widespread racism kept black residents concentrated in small areas of low opportunity and high poverty. Places like Brownsville were the result. The neighborhood had once been primarily occupied by Jews, but later became known as a black ghetto, replete with scenes of crime and misfortune that unfolded every day. It was in this environment that Ed Smith came of age, the third eldest of six brothers and sisters, in a public housing development called Nobel Drew Ali Plaza. His mother was a domestic, and his father, an Army veteran, drove trucks for a living. Early on, Smith's father told the younger Smith not to expect any greater aspirations for himself. "Get your chauffeur’s license so you can learn how to drive a truck," Smith recalls him saying, "because that’s all you’re ever going to do." And yet such expectations could not suppress Ed Smith's intense curiosity about how things worked. He began taking apart everything he could, and he soon taught himself to repair basic electrical gadgets like toasters and irons. Later, he moved on to radio receivers and TV sets. Smith's electronics skills came in handy as he began doing odd jobs around the neighborhood to help make ends meet for his family. At times, he largely provided for himself. Through exposure to books and TV, Smith learned about the larger world outside of Brownsville. He devoured epic science fiction works and titles by black intellectuals such as Ralph Ellison's Invisible Man and the works of W.E.B. Du Bois. As his knowledge of the world grew, Smith began to feel like Brownsville was his personal cage, holding him back from greater opportunities. He recalls the many times he sat at his window, watching the traffic on the busy four-lane street outside. "My only wish was to be sitting in one of those cars, driving down Eastern Parkway," he says. "Anywhere, any direction, I didn't care. I just didn't want to be there." It was a tough life, but he tried his best to steer his own fate. At age 13, Smith recalls waking up to a commotion, his sisters and brothers crying. In another room, he found his mother on the floor, his father pummeling her with fierce blows. Smith tried to pull his dad off, but the elder Smith knocked him unconscious. When the teen came to, he grabbed a frying pan from the kitchen and knocked his father out. "I dragged him out of the house and locked the door," recalls Smith. "That was the last time my father ever came into our home." In January 1968, two brothers named Albert and Philip Friedman, both veterans of the consumer electronics industry and Asian import specialists, founded a technology company named after their initials: APF Electronics, Inc. The new firm opened an office on Madison Avenue in Manhattan and got to work quickly, making deals to bring in the latest transistorized calculators and stereos from Japan. Albert Friedman, the company's first president, then in his 60s, had previously worked for Olympic Radio, then later served as president of Delmonico International—the first company to import Sony products to the United States. His brother Philip grew up in prewar Japan, steeped in Asian culture, and had for decades been an essential liaison to U.S. firms that sought to do business with the Far East. The pair hired other Delmonico veterans to fill out APF's initial team, including Seymour "Sy" Lipper, who took on a marketing role, and Irving Boilen, an electronics engineer that would serve as the head of their new engineering department. On the broader American stage, 1968 marked a tumultuous low point in a decade that saw rapid social and technological change. While the Vietnam War weighed heavily on the nation's collective conscience, it was a domestic event that set the chaotic tone for the rest of the year: On April 4, an assassin shot and killed Martin Luther King, Jr., as he stood on his motel balcony in Memphis. The murder of America's most famous proponent of black rights triggered riots in many communities around the country, including Brownsville. The day after King was killed, 14-year-old Ed Smith sat on a street corner, watching in disgust. "I remember all of the looting going on around me," he recalls. "People were taking bricks and throwing them into white people's cars. It was mass rioting." The experience solidified his resolve: He was going to find a path out of the projects. Smith's friends were skeptical of his passionate interest in electronics. "When they heard what I was doing, they would say, 'You would never understand that, a black guy can't do this kind of thing. It's not your world. They will laugh you out of the room,'" he says. The negative remarks only served as a challenge to Smith, who sought to prove them wrong. During his last year of high school, Smith met his future wife, Sheila, and unexpectedly found himself becoming a father at age 18. The desire to provide for his family intensified Smith's drive, and after graduation, he started working full time doing electrical odd jobs like wiring security systems. In 1972, Smith moved to Coney Island and landed a position at Brooklyn-based Marbelite, one of the nation's largest manufacturers of traffic signals. The job gave Smith his first taste of digital electronics technology, which would drive consumer electronics of the 1970s, '80s, and beyond. Behind every traffic signal is a device called a traffic controller—a timer that keeps track of when to turn on and off certain lights. Prior to the 1970s, most controllers relied on electromechanical parts, but the boom in solid-state electronics saw the controllers become transistorized in the early 1970s. In 1971, Intel had introduced the first commercial single-chip microprocessor, launching a new era in electronics. Just as other industries scrambled to incorporate the new technology into their products, it wasn't long before Marbelite wanted to use the power of a microprocessor to control traffic signals. To that end, Marbelite paid for Smith, who was then working as a technician, to attend local vocational classes on microprocessor-based circuit design. He learned to program the brand-new Fairchild F8 microprocessor (coincidentally the same chip used in the Fairchild Channel F, the first cartridge-based video game system in 1976). The classes brought big dividends to Smith, who soon leveraged the knowledge to get a taste of life in other parts of the Big Apple. By 1972, APF Electronics had established itself as a leading manufacturer of desktop electronic calculators. In fact, the firm was doing so well that it contracted Sy Lipper's brother, Martin "Marty" Lipper, as a specialist to take the company public that November. Looking back, Marty (who joined APF full time as its CFO in 1973) emphasizes the role of calculators in the company's early success. "We built 70% of all the calculators ever sold at Sears in those days," he recalls. "The same goes for Montgomery Ward." Calculators would carry APF's business forward until the next great revolution in consumer electronics came along: video games. Just as APF was going public in 1972, a young California company called Atari made waves nationwide with Pong, an arcade video game sensation that soon spawned dozens of shameless rip-off games and launched a wider arcade video game industry. Ironically, Pong itself was a shameless (but improved) rip-off of the first home video game system, the Magnavox Odyssey, which launched just a few months earlier. In December 1975, Atari released the home console version of Pong through Sears under its Tele-Games label, and it proved wildly successful. Like it had done in the arcades, Pong as a home product inspired dozens of knock-offs, most of which were built using a custom "Pong-on-a-chip" integrated circuit created by General Instruments called the AY-3-8500. The mass production and general availability of this chip, and several follow-ups, made the engineering of dedicated "ball-and-paddle" consoles almost trivial affairs, with more work going into their plastic cases than into the electronics within. In 1976, APF became one of dozens of firms that jumped headfirst into the home video game market, releasing its first Pong-like decidated console, the TV Fun. It was a sleek, compact, plastic cabinet with faux woodgrain and silver trim and two built-in rotary knobs that contained four built-in variations of the simple ball-and-paddle game. While the TV Fun utilized the same Pong-on-a-chip circuit that many other manufacturers used in their own clone consoles, APF's model quickly became one of the best selling on the market, moving 400,000 units within its first year—a stunning figure at the time. Over the next two years, APF followed the first TV Fun with several improved models that added more games and a light gun, although sales dropped with each successive unit as the market became increasingly saturated with Pong-like consoles. APF also found, as other companies did, that it became prohibitively risky to keep releasing new dedicated consoles—which often needed their own distinctive cases, circuitry, and marketing campaigns—to accommodate new types of video games. The solution to this problem first entered the market in 1976 with the Channel F, which was codesigned by an African-American engineer, Jerry Lawson. The Channel F approach allowed the sale of one universal console player device and many smaller, less expensive game cartridges that would add lasting appeal to the system. An interchangeable, programmable approach to video games required the games to be written as software and run through a microprocessor—in other words, it meant designing a computerized video game system. From APF's point of view, creating such a console would require specialized expertise that few engineers at the company had developed. That led to the search for a new hire who could help design a new console that would lead APF into the next generation. Thanks to Marbelite, they would soon find their man. Ed Smith loved his job at Marbelite; it introduced him not only to new concepts in electronics, but also to a wider world. While attending his microprocessor classes, he visited Manhattan and took special notice of Wall Street brokers that projected a fancy, clean-cut look. "I definitely wanted to be that kind of person," he recalls. "Somebody who would be able to dress for success." With that aim in mind, Smith signed up with an employment agency, and soon he landed a job interview with APF Electronics in midtown Manhattan. There he met Kenneth Boilen, the son of Irving Boilen and one of APF's chief engineers. After a brief greeting, Boilen introduced him to another engineer named Craig who sat Smith down at a table with a schematic and said, simply, "Build that," then left the room. "The man was an engineer, and he knew his business." Smith found the task fairly simple; he completed the construction just after lunch. An hour later, Craig returned, surprised to see the task complete. "You're done?" he asked Smith in amazement, to which Smith replied that he had been finished for some time. Soon after, Craig reported to his superiors: "This guy knows what he's doing." Just like that, Smith landed his dream job in buttoned-down Manhattan. According to Marty Lipper, Smith's race never played a part during the hiring process at APF. "The man was an engineer, and he knew his business," he recalls. "When we interviewed him, he was a decent guy, and that's all I cared about." Still, it's a reflection of APF's culture that it chose, in the mid-1970s, to hire a black man who grew up in one of the most impoverished neighborhoods of New York City to design the linchpin of its future electronics business. When pressed, Lipper emphasizes the diversity of the company's workforce. He recounts an episode when he got a call from the Department of Labor, informing APF that it was being sued for being anti-Semitic. "I started laughing on the phone," he recalls. "And the one from the labor department says, 'Mr. Lipper, this is not a funny situation.'" Lipper went on to explain that APF's entire upper management team was Jewish. "I told them, 'We have 150 employees. Twenty-five percent or 30% have to be black. We have about 50 Chinese. We've got Middle Easterners, you name it. We're the League of Nations.’"
Both Marty Lipper, a Korean War vet, and his older brother Sy—the firm's president when Smith was hired—describe living lives steeped in diversity. Sy Lipper, who is now 90, grew up during the Great Depression in a poor Jewish ghetto in the Bronx. Later, he served in the European theater during World War II alongside a diverse cast of characters from all over the U.S., some of whose deep poverty meant that their government-issued combat boots were the first pair of shoes they ever wore. He also witnessed liberated Nazi concentration camps firsthand, and he says these experiences gave him a deep appreciation for the opportunities available to him in his home country—and of those denied to others. "I got to see what was going on elsewhere in the world, how people were living," recalls Sy. "I saw that what [my family] had was so much better, even though we had nothing." Nine years his brother's junior, Marty Lipper recalls attending the first integrated high school in New York City, Morris High School, where he took classes with future Secretary of State Colin Powell, whom he knew well. In the minds of APF's management, there was never a question of whether or not to hire a black man. Smith was fully qualified for the job. That's how he became not only APF's first microprocessor specialist, but also (after Fairchild’s Jerry Lawson) the second known black engineer in the history of video games. At APF, Ed Smith "learned to translate binary code pretty fast," he remembers. "I learned the motto of any good engineer, which is "plug it in and let's see if it blows up." After getting established, he took the opportunity to go back to school part-time, studying computer science and marketing at Pace University. Three days out of the week, he would leave Brooklyn, go to work in midtown, leave for Pace in lower Manhattan, then come back home at night. Around 1977, an engineering crew at APF, led by Kenneth Boilen, began work on the firm's first cartridge-based video game system. Ed Smith took the lead on designing the prototype for the console, drawing from a wide range of inspirations like the Apple I and TRS-80, but ultimately coming up with a unique design based on the Motorola 6800 microprocessor—an unusual CPU choice in the industry at the time, which was handed to him by his boss. With contributions from APF's design team and engineers in Hong Kong, Smith developed the console's electronic design through numerous iterations over the course of six months. Meanwhile, the company's marketing department christened the new product the MP1000 (MP for "microprocessor"). What APF came up with was a small, black plastic video game unit with silver buttons and woodgrain trim. The MP1000's base doubled as a stand for two hard-wired hand controllers, each with a joystick, a large fire button, and a 12-button numeric keypad. The system generated blocky color graphics and contained one built-in game, Rocket Patrol. Most importantly, the MP1000 also played games sold separately on removable cartridges, with each cartridge including multiple game variations that were selectable from an on-screen menu. After design was complete, Smith recalls his job as switching to play-tester for a time. He learned to complete every game on every difficultly level, and it became a mind-numbing chore before long. The MP1000 launched commercially in mid-1978. It sold well initially, but received mixed reviews from the press. On the positive side, with the home video game industry being as new as it was at the time, there was still a general sense of wonder among the public that games could be played on a TV set at all, and thus the bar for game quality was relatively low. As such, not much public criticism was levied on the quality of the MP1000's individual games. Meanwhile, Atari retained the industry's sales lead with its cartridge-based console, the VCS (later known as the Atari 2600) thanks to home ports of its hit arcade games. Through its coin-op division, Atari mastered the design of visceral, action-based gameplay that attracted players and kept them coming back for more, raising the bar on perceptions of home video game quality dramatically during the last few years of the 1970s. Notably, in the press, Atari's games stood out as individual cultural works worthy of review and attention separate from the VCS console itself. In contrast, APF fared poorly in regard to game quality and innovation. At a time when Atari's games often featured tanks, jets, race cars, dragons, and haunted houses, APF's MP1000 offered low-energy games like Bowling, Backgammon, Hangman, and Tic-Tac-Toe. The few action games the MP1000 had often involved no more coordination than timing when to push the fire button to shoot a single spaceship flying slowly across the top of the screen. Sy Lipper describes a huge culture clash between WW II-era upper management, who expected rigid nine-to-five schedules and clockwork production, and the new generation of laid-back baby boomers who they hired to write the software. Game development is an inherently artistic and creative process, and that proved difficult for many 1970s consumer electronics companies to grasp. Among the first batch of game console companies, Atari alone embraced the creative artistry of game design, and that fact above all others allowed the firm to dominate the industry. Upon the launch of the MP1000, Ed Smith felt deep personal satisfaction from the completion of the project—the first commercial consumer product he had ever worked on. Thanks to nimble work by APF's sales team, the console was available through large merchandisers like Sears and Montgomery Ward. One day, Smith visited a local Sears department store like a proud father, excited to see his progeny on the shelves. The trip quickly turned bittersweet as he beamed his pride to a salesman. "I said to the sales guy, 'I'm one of the guys that designed this,'" and he goes, 'Yeah, right.'" Back in the lab, Smith was always conscious of how skin color limited opportunities for African-American kids in the projects, most of whom would never get a chance to play home video games because their parents couldn't (or wouldn't) buy a game console themselves. He saw an opportunity to help. "Every other day I would take a console and give it to someone in the projects." After the launch, APF began to stockpile spare and returned MP1000 consoles for demonstration and testing purposes. Roughly 300 consoles sat unused in the back of a closet at APF headquarters, ultimately destined for scrap. "Every other day I would take a console back home to the neighborhood and give it to someone in the projects that I lived in," recalls Smith, who lived in Flatbush. "So, when I was done, there were probably a good 50 people that I knew in the projects playing the MP1000." Smith, who considered his unsanctioned experiment not only a charitable exercise but part of play-testing, became impressed with the reaction he witnessed. "They didn't know what to expect," says Smith, "But once they got it in front of them, it was all intuitive. They loved it. It was a chance to interact with someone else in the apartment versus going outside and doing something crazy. So a lot of times, people would play the video games for hours in the day, like they do today, and not be on the street." Around the time the MP1000 was in its planning stages, APF's head of engineering, Irving Boilen, spearheaded the firm's first personal computer project, the PeCos One (short for "Personal Computer One"). According to Sy Lipper, it was Boilen who chose to base the machine around an obscure defense contractor programming language called JOSS rather than BASIC, the industry standard. That one decision ensured the quick market death of the awkward computer upon its launch in 1978. The failure of the PeCos One would not keep APF from trying again, however. The Apple II, launched in 1977, had proven there was a strong market for easy-to-use personal computers for consumers, and APF wanted in on it. Others did too. During the development of the MP1000, APF's management heard news of Mattel's upcoming Intellivision console, which the toy giant planned to later transform into a full-fledged personal computer using a separate keyboard. Hoping to get a jump on the competition, APF decided to pursue that path as well, using Smith's microprocessor-powered MP1000 as the core of a larger computer system. The Imagination Machine debuted to the press at the 1979 Summer Consumer Electronics Show in Chicago with the clever name thought up by Howard Boilen (brother of Kenneth) and another APF employee named Gary Sharp. APF's marketing materials emphasized the Imagination Machine's potential as a creative tool for music, art, language, education, and programming. What the firm showed off at CES was a large off-white computer base unit with an integrated full-sized, full-stroke keyboard and a built-in cassette tape drive for data storage. The base unit and console would be mated via a J-shaped connector that plugged into the MP1000's cartridge port. With the two units combined, the Imagination Machine relied on the Motorola 6800 CPU in the MP1000 and added an additional 8K of RAM, making for 9K of memory in total. The Imagination Machine, as a $599 personal computer, received very wide press coverage in magazines and newspapers across the U.S. at a time when a 16K Apple II Plus retailed for $1,195. Its playful logo, combined with its emphasis on ease-of-use and creativity, were attractive targets for journalists writing roundups of the first-ever wave of lower-cost, family-oriented "home computers" that arrived from manufacturers like Atari, Texas Instruments, and Commodore during the last few years of the 1970s. To target the Imagination Machine at a home audience, APF decided to rely on traditional retail channels as it had with its calculators and video game products. But unlike the MP1000 alone, the Imagination Machine was a fully programmable microcomputer, which was inherently trickier to operate—and much harder to sell to a suite of retail executives who often possessed no technical background whatsoever. To bridge this gap, Ed Smith's boss, Kenneth Boilen, approached Smith one day with an offer that would completely change his career trajectory. "We’re going to change your role to a technical specialist," Smith recalls them saying. "And we want you to go to Sears and talk about the Imagination Machine." Smith embraced the opportunity now laid out before him: "I threw on my suit and [grabbed] my briefcase, and I’m off to Chicago." During a large lunchtime sales call, Smith found himself in Sears Tower, then the tallest building in the world, pitching APF's new computer to Sears executives. "The sales person is there and he’s hearing my pitch, and I’m talking about RAM and ROM and all of the inputs and outputs." Smith breezed through the presentation, and at the end, the former resident of Brooklyn's poorest neighborhood, whose father had told him that he could expect no greater career than truck driver, stopped at a window and paused in a moment of triumph mixed with astonishment. Looking past his own reflection, he says, he saw the Chicago skyline and thought, "How far I have come." The Sears meeting was one of the highlights of his career, Smith says, but it was only the beginning of a new era for him. Back at the office a couple weeks later, an APF sales rep approached Smith at his engineering drafting table and slapped him on the back. "Ed, you did so great," he said. "You just made me ten grand this month." Smith's jaw dropped. At the time, he earned about $20,000 a year. "I got up from my drafting table, and I walked over to Howard Boilen, who was the VP of sales, and I said, 'Howard, if I’m going to pitch this, don’t you think I should sell it?'" Boilen, pleased with Smith's performance at the Sears meeting, agreed, and Smith soon switched from engineering to sales. "I started selling the machines that I helped to build," says Smith. Throughout 1980, Smith traveled the country showing off the Imagination Machine to executives at department stores and computer retail chains, with a string of optimistic successes. However, big-name retail support for the Imagination Machine could not make up for shortcomings in the computer's design. Today, Smith recalls that APF’s marketing department insisted on including a tape recorder with the system. The engineering team resisted, but marketing won out. APF's cassette-bound machine launched over a year after Apple had rocked the personal computer world with its low-cost Disk II drive, making slower, less reliable cassette drives commercially unattractive. And yet there it was, permanently built into each unit. 1980 passed with very modest sales of the MP1000 and the Imagination Machine, and in January 1981, Smith traveled to CES for the last time as an APF employee to demonstrate the Imagination Machine II, a remodeled unit with more memory and integrated MP1000 circuitry that looked nearly identical to the original except for a smooth surface on its top where the core console used to sit. Strangely, it retained the built-in cassette drive, but alongside the $399 base unit, APF pitched a complex "System III" constellation of peripherals and disk drive add-ons that upped the price of the machine to a far less appealing $1,195. "This personal computer nonsense, there's no future for them." Such incremental, expensive improvements did not improve sales, and in the face of heavy competition from Apple, Atari, Commodore, and Texas Instruments, APF's PC failed to gain significant market share. Still, the company’s management sought to keep going and try again. In fact, the Lipper brothers insist that sales of all its products were good enough to sustain the company into the future. "Nothing we did was a disappointment," says Marty Lipper with perhaps a hint of rosy glasses. "Everything we did worked out either good or excellent. We were making money, there was no problem." The core reason for APF's downfall, according to Sy and Marty Lipper, centered on the skepticism of the two New York banks that held APF's lines of credit—the loans that APF relied on to fund production runs. Marty Lipper recalls the scene: "The banks said to me, 'You have three businesses, and we don't think there's any future in TV games because that's a fad. And this personal computer nonsense, there's no future for them. The public doesn't want or need them. But if you stay in the calculator business, we're not going to call the loans. We're happy with that business.'" Sy and Marty Lipper refused to cave in to the banks' demands, knowing that calculators, which had become a low-priced commodity at that point, did not represent the future of the consumer electronics industry. "The banks could not understand the personal computer," says Sy Lipper. "Because as far as they were concerned, it was a toy, and the computer itself was in the hands of IBM." In 1980, the market capitalization of Apple, one of the most successful personal computer companies up to that point, was still minuscule compared to IBM. It wasn't until August 1981 that IBM would release its Personal Computer and legitimize the market in the eyes of the banks. By then, it was too late for APF. The Lippers warned their staff of an impending shutdown, giving them time to find new jobs, and making sure to pay the employees what they were due. "Ken Boilen, one of the best bosses and best friends I’ve ever had, was always honest and straightforward with me," says Smith. "He came to me and he said, 'You know, the company is not going to make it. We’re not doing well with this thing, and I don't want you to get stuck here and be on unemployment and not take care of your family. You should go look for something else.'" During a final tense meeting that Sy and Marty Lipper had with its credit lenders, bank officials threatened one last time: Leave the video game business or immediately repay your $7 million debt in full. Marty stood up, pulled the company's office keys from his pocket and set them on the table. He urged his brother to do the same, then said, "Here it is. The company is now yours." APF Electronics effectively ceased operations in 1981 and never declared bankruptcy, although it took some years for the banks to fully wind it down. "BEING ONE OF THE FIRST TO DO ANYTHING IS AMAZING"
When Ed Smith moved on from APF, he also left the video game field. "Frankly, had I the forethought to know the industry would become what it is today, I would have stayed the path," he says. Still, his experience at APF stuck with him. "I learned to develop myself from an introverted bench guy to an extroverted corporate speaker," he explains. "I learned to take alternate paths when one seems to be clogged. Mostly, I learned to trust my abilities and to never think I was any less capable than anyone else." After APF, Smith spent four years managing an Apple dealership in upstate New York. Then he worked at a computer dealer in Albany and helped expand a computer chain called The Computer Factory to a new location in Philadelphia. Another fresh start came when he signed on with PC networking pioneer Novell during its formative period. At that point, like Smith, all of his brothers and sisters had established careers for themselves and escaped life in the projects. But over a decade after Smith had moved out, his mother still lived in public housing, among high crime and badly maintained facilities. One day in the mid-1980s, he drove from New Jersey to Brownsville in a U-Haul moving truck. Neighborhood regulars looked on with skepticism as he stepped out and entered his mother's apartment. A few minutes later, he returned with armfuls of his mother's possessions and began loading the truck. "Where are you taking her?" the neighbors asked with incredulity. "I'm taking her out of here," he replied. As the rolling U-Haul door closed shut and he stepped into the cab, Smith heard someone say, "Whoa, he's actually doing it." He moved his mother to a apartment not far from where he lived in New Jersey, and two years later, he bought her a condo, freeing his family from the projects at last. Today, Smith is still a successful tech salesman, although he is nearing retirement. He has been married to his high school sweetheart for 40 years and his kids are now grown with their own families. A few decades removed from his work at APF, Smith has a new appreciation for what it meant. "Funny, when you are head-down doing the work, the last thing you think about is being an African-American," he says. "You're just another engineer doing his job. Once you have a chance to digest what you're able to accomplish, time passes by because you are head-down on the next thing." In retrospect, he adds, "I can say with certainty that being one of the first to do anything is amazing. To be a man of color and a leader in the video game industry will be my legacy, and one that I am very proud of." Henry Louis Gates, Jr. has been known to document and chronicle the stories of African, African American people, and those who wanted to know from where they came from. Now, in a bid to add color and context to our legacy, Skip Gates teamed up with PBS to put out a 3-part/6-hour documentary series titled Africa’s Great Civilizations. For him, he aims to tell the stories of an African continent prior to colonization and the Trans-Atlantic slave trade. Tales about the Saadi dynasty in Morocco, the Sultanate of Sennar in Sudan and the Oyo, Benin and Ashanti empires in West Africa highlight this experience, which will be must see TV surely. To add another bit of polish to the forthcoming doc, Gates + PBS have released a trailer that takes audiences into the different parts of the continent. Without spoiler much of what the series will be, for those who aren’t vested in African history, there will be much to uncover. “This series is a breathtaking and personal journey through history that includes evidence of the earliest human culture and art, arguably the world’s greatest ever civilizations and kingdoms, and some of the world’s earliest writing,” the official summary states. Mark your calendar for this three-night event, as Africa’s Great Civilizations airs beginning Feb. 27 – Mar. 1 from 9:00 – 11:00 p.m. ET. Hidden Figures is the incredible untold story of Katherine G. Johnson (Taraji P. Henson), Dorothy Vaughan (Octavia Spencer) and Mary Jackson (Janelle Monáe)—brilliant African-American women working at NASA, who served as the brains behind one of the greatest operations in history: the launch of astronaut John Glenn into orbit, a stunning achievement that restored the nation’s confidence, turned around the Space Race, and galvanized the world. The visionary trio crossed all gender and race lines to inspire generations to dream big. Did You Know She Is the Inventor of Lasik Eye Surgery? Meet This Extraordinary Woman! If you are considering Lasik Eye Surgery, you can thank this woman who invented the procedure in 2000. She holds four of the patents on the procedure so you will be assisting her in her philanthropic work and helping her Alma Mata, Howard University through her endowment if you do get the procedure. Dr. Patricia Era Bath (born November 4, 1942, Harlem, New York) is an2 American ophthalmologist, inventor and academic. She has broken ground for women and African Americans in a number of areas. Prior to Bath, no woman had served on the staff of the Jules Stein Eye Institute, headed a post-graduate training program in ophthalmology or been elected to the honorary staff of the UCLA Medical Center (an honor bestowed on her after her retirement). Patricicia BathBefore Bath, no black person had served as a resident in ophthalmology at New York University and no black woman had ever served on staff as a surgeon at the UCLA Medical Center. Bath is the first African American woman doctor to receive a patent for a medical purpose.1 Her Laserphaco Probe is used to treat cataracts. The holder of four patents, she is also the founder of the American Institute for the Prevention of Blindness in Washington D.C. Born in Harlem on November 4, 1942, Bath was the daughter of Rupert and Gladys Bath. Her father, an immigrant from Trinidad, was a newspaper columnist, a merchant seaman and the first black man to work for the New York City Subway as a motorman. Raised in Harlem, Bath was encouraged academically by her parents.Inspired by Albert Schweizer or his work in medicine, Bath applied for and won a National Science Foundation Scholarship while attending Charles Evans Hughes High School; this led her to a research project at Yeshiva University and Harlem Hospital Center on cancer that piqued her interest in medicine. In 1960, still a teenager, Bath won the “Merit Award” of Mademoiselle Magazine for her contribution to the project. ]After graduating high school early, Bath received her Bachelor of Arts in chemistry from New York’s Hunter College in 1964. She relocated to Washington, D.C. to attend Howard University College of Medicine, from which she received her doctoral degree in 1968. During her time at Howard, she was president of the Student National Medical Association and received fellowships from the National Institutes of Health and the National Institute of Mental Health. Bath interned at Harlem Hospital Center, subsequently serving as a fellow at Columbia University. During this period, from 1968 to 1970, Bath became aware that the practice of eye care was uneven among racial minorities and poor populations, with much higher incidence of blindness amongst her black and poor patients. She determined that, as a physician, she would help address this issue. She persuaded her professors from Columbia to operate on blind patients at Harlem Hospital Center, which had not previously offered eye surgery, at no cost. Bath pioneered the worldwide discipline of “community ophthalmology”, a volunteer-based outreach to bring necessary eye care to underserved populations. She served her residency in ophthalmology at New York University from 1970 to 1973, the first African American to do so in her field. After completing her education, Bath served briefly as an assistant professor at Jules Stein Eye Institute at UCLA and Charles R. Drew University of Medicine and Science before becoming the first woman on faculty at the Eye Institute founded the American Institute for the Prevention of Blindness, for which she served as president. In 1983, she became the head of a residency in her field at Charles R. Drew, the first woman ever to head such a department. Patricia BathIn 1993, she retired from UCLA, which subsequently elected her the first woman on its honorary staff. She served as a professor of Ophthalmology at Howard University’s School of Medicine and as a professor of Telemedicine and Ophthalmology at St. Georges University.1 She was among the co-founders of the King-Drew Medical Center ophthalmology training program. Bath has lectured internationally and authored over 100 papers. Bath holds four patents in the United States. In 1981, she conceived of the Laserphaco Probe, a medical device that improves on the use of lasers to remove cataracts, and “for ablating and removing cataract lenses”. 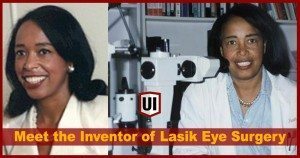 The device was completed in 1986 after Bath conducted research on lasers in Berlin and patented in 1988 making her the first African American female doctor to receive a patent for a medical purpose. The device — which quickly and nearly painlessly dissolves the cataract with a laser, irrigates and cleans the eye and permits the easy insertion of a new lens — is used internationally to treat the disease. Bath has continued to improve the device and has successfully restored vision to people who have been unable to see for decades. Three of Bath’s four patents relate to the Laserphaco Probe.In 2000, she was granted a patent for a method she devised for using ultrasound technology to treat cataracts.